We’re a month into the new year and it appears that 2019 will be an interesting year for startups and investors alike. Deals are being made, progress is coming, and new business ideas are continuing to flood into marketplaces across the globe at an eyebrow-raising rate. And, in the wake of all this movement, we are starting to see and increasing a rise of funding opportunities for women-led investors and startups. Take for example when earlier this past spring, the managing partner and founder of Backstage Capital, Arlan Hamilton, established a $36,000,000 fund that was dedicated to exclusively investing into companies that were backed by women founders and minority groups. Then the New York-based firm known as Female Founders Fund closed a deal worth $27,000,000 in order to continue their efforts of investing into female-led technology companies such as Rent The Runway. These are historical movements in the world of female entrepreneurship.  Here at Pitch Deck Fire, we don’t see enough female founders. Much like the industry, the vast majority of our clients are men. And for a company that was founded by a female entrepreneur, and a team that has far more women than men in it’s ranks, we would love to see that change this year. And, it seems like this might be the year. Women-led startups raised a record amount of venture capital funding in 2018 with two months remaining in the calendar year. In the first ten months of 2018, female-led startups closed over 390 deals and secured funding that surpassed $2.3 billion. That figure is $300,000,000 more than women-led startups received in 2017. On the other side of the spectrum, we have the number of female investors seeing a gradual but positive spike in numbers. Silicon Valley is experiencing progress, establishing collectives of female-centric venture capitals that want to fund and mentor women founders across the United States. An interesting study was released in January 2019. It shows an interesting phenomenon in the VC space regarding women run startups: Are venture capitalists really biased against women? A new experiment yields surprising results In it, researchers were hoping to better understand the state of VC fundraising for women-led companies. The group “sent out 80,000 pitch emails introducing promising but fictitious start-ups to 28,000 venture capitalists and business angels.” They sent these emails from both male and female names. They found that VCs pitches from the likes of “Mary,” “Meghan” and “Melanie” received 8% more expressions of interest than those from the likes of “Michael,” “Matthew” or “Mark.” This is a highly surprising result. It appears that VCs are not as biased as they appear to be if you looked only at the companies that they invest in. What is interesting then is what is happening between the sending of the pitch and the decision to invest. What is needed is an increased focus on funding women. If you’re a founder or entrepreneur researching who you should present your pitch deck to, we’ve compiled a short list of some of the country’s most well-known female-founded venture capital firms you should send your rockstar investment pitch deck. These are the top 6 venture capital firms, founded by females, that you should consider contacting if you’re a startup seeking funding. Aligned Partners is an all-female venture capital firm that invests exclusively in B2B startups. They are primarily a Series A investment firm, but have their sights set on startup businesses that are capital-efficient and do not need a crazy amount of funding to get to where they have to be. The firm itself has made it their mission to make smart investments, this way they are not just wastefully throwing money at companies that don’t have traction. When it comes to due diligence, this female-led VC firm leads the charge. Aligned Partners also has an extensive history of venture experience, as the co-founders each possess over 20-plus years in operating, investing and managing companies. Resumes that speak for themselves. To date, Aligned Partners is working on closing its third institutional fund since 2011. Halogen Ventures is another female-led venture firm that has dedicated its funding structure to providing capital for female-founded consumer technology startups and businesses. Halogen Ventures is also founded by Jesse Draper, a television show host who ran the first technology-based talk show (titled The Valley Girl Show) for nearly a decade. The Valley Girl Show was Emmy-nominated and provided Jesse Draper with exposure to early stage startup companies, forming the foundation to create a successful venture capital firm. To add to Draper’s impressive resume for investing, her previous experience in television provide her with the ability to pick the brains of some of the country’s most well-known entrepreneurs and founders like Marc Cuban and Jessica Alba. Glasswing Ventures is Boston-based venture capital firm that provides early stage funding for companies specializing in the artificial intelligence and cyber security sector. This VC firm is founded by Rudina Seseri, who originally found her start in Microsoft carrying out a corporate role before she was convinced to change industries and pursue venture capital. If it was not for that career change, Seseri’s professional life may have had a totally different trajectory. She attributes that change as one of the reasons that her fund has raised over $112,000,000 in a debt fund. With over 16 years in investment experience and having carried out investments in IT software, marketing-based technologies and SaaS businesses, it is clear that Glasswing Ventures is a solid option for startups in these sectors. To date, Glasswing Ventures has the largest artificial intelligence-focused fund on the East Coast. Connecticut-based 1843 Capital is a female-led venture capital firm that specializes in early investment–Series A and B. They invest in cybersecurity startups and technology for the ever-aging population. Between founders Alison Andrews and Tracy Chadwell, the pair boast a track record of investing in software operations, hardware, and venture investing – all of which have played an important role in crafting 1843 Capital. ers have worked with in the past, which has created a consistent and structured foundation to do business with. Not to mention, 1843 Capital’s network has expanded over time to include significant resources that have helped take their deal flow and partnerships to new heights. SoGal Ventures is a venture capital firm that has locations based in New York City and Singapore, with local communities of diverse entrepreneurs and investors across 40 cities in the world. This VC firm is focused on providing funding for diverse startups and entrepreneurs, who are utilizing a global-first, design-driven business model to revolutionize how the next generation live, works, and stays healthy. SoGal is typically an early stage investor, providing funding for companies that are operating in the pre-seed to Series A stages of startup businesses. To date, the two managing partners at SoGal Ventures have made 56 investments and that number is sure to grow in 2019. What makes this female-led venture capital firm most interesting is their ability to build global networks. With their nonprofit arm SoGal Foundation, they’re able to provide local resources and expertise at scale to portfolio companies worldwide. They’re all about the holistic entrepreneurship approach, especially with the recently launched program focusing on founders’ overall wellness. The fund’s LPs are 70% women, 50% from outside the US, and include a number of people from the SoGal communities. It has all happened through hard work and elbow grease, getting their name out there to the right people who align with their mission to redefine the next generation of diverse entrepreneurs and investors. Stacie is the COO of Pitch Deck Fire and has had years of experience developing pitch decks, and preparing founders to pitch.